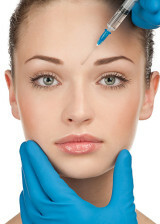 Botox is the most popular cosmetic procedure in the world. It is important to understand some facts so that an educated decision can be made in regards to the procedure and the provider you choose. First: For the longest time Botox was only FDA approved for the glabellar area muscles but recently was approved for the orbicularis muscle of the lateral orbit. The medication is effective on any muscle it is injected, but the patient needs to understand its use is called “off label” in these instances. In my opinion, very few patients are candidates for limited use of the medication. Most patients will need injection of all the muscle groups in the peri- orbital area. Understanding of the muscle function in the area is an important requirement for an injector, and being a surgeon with experience in surgical procedures in the area is a great advantage. Most patients will require at least 50 units of Botox, doing less will almost assure under treatment. When patients receive less than 50 units, they usually need another treatment 4 to 6 months later, if not sooner. Second: Botox gets reconstituted with non-bacterial saline solution. Because of this the FDA states it should be used within 24 hours. Bottles are packed in 50 Units or 100 Units. 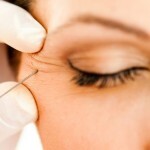 At Renue, patients receive a fresh batch of Botox every time. In some places they will only use a 100 U bottle and leave the remaining in the fridge for use at a later day. There are studies showing the medication is active up to a month after reconstitution, however the potency gradually decreases. Because of the use of non-bacteriostatic saline, using older than 24 hours medication has the risk of bacterial contamination. Third: Risks with Botox are very rare, even with the inexperienced injector. However if the proper technique is used the risks are even rarer. Using ice 5 to 10 minutes before the injection creates vaso-constriction in the blood vessels, decreasing the chances of bruising to less than 10%. Using the smallest possible needle also decreases this problem and makes the injection more tolerable.